Winnie is nine years old, born on 5th July 2005. She joined the program in 2015, but she no longer has a sponsor. 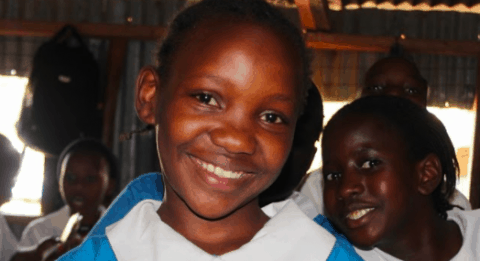 Winnie attends Jagiet Elementary School and is in class eight (grade eight). 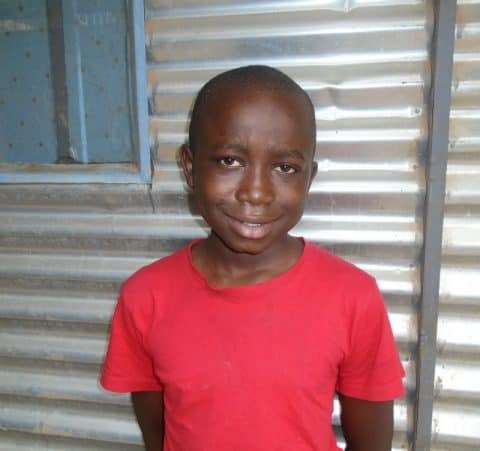 Before joining the program, Winnie walked about thirty minutes to her school, which was not a focus school of the program. She lives at Ruthimitu with her mother Felister Njeri, sisters Lucy Wanja and Elizabeth Muthoni. Her mother is HIV positive and on ARV medication. The family lives in a three roomed house made of rusty iron sheets and has no electricity. They use a hurricane lamp for lighting at night. This makes it challenging for her to study comfortably as it produces a lot of smoke. They use a charcoal jiko or kerosene stove for cooking their meals. She eats two times a day and sleeps on a bed that she shares with her sisters. Her mother launders people’s clothes for an income. There is tapped water available within the home compound for domestic use. They also have access to a pit latrine and share’s it with their neighbors. There is a table and chair available where she does her school assignments and private studies. utensils. Winnie said she will be happy for sponsorship and will continue working hard in her studies.